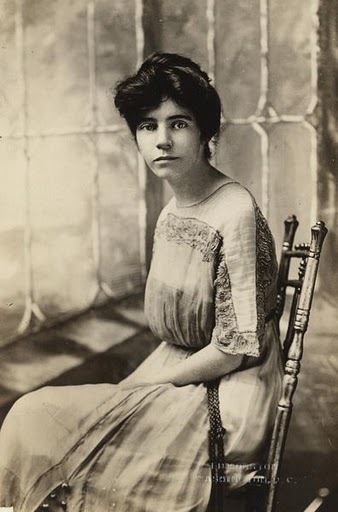 If you are a historian or just someone interested in the debate over women’s suffrage, it’s easy to fall in love with Alice Paul. 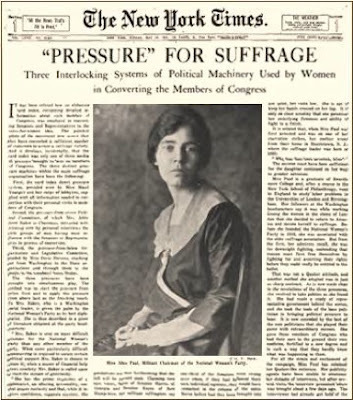 A Woman’s Crusade: Alice Paul and the Battle for the Ballot. Mary Walton, New York: Palgrave Macmillan 2010 1st ed..
Paul was the central character in the 2004 HBO movie Iron Jawed Angels, starring Hiliary Swank and Frances O’Connor. Paul was not as beautiful as Hiliary Swank, but she could certainly look good in a photograph (right). And set against her antagonist within the suffrage movement, Carrie Chapman Catt, Paul wins on almost every count. Catt comes off as stuffy, disapproving, middle-aged and establishment. Paul is vivacious, single-minded, courageous and just plain interesting. The comparison is not a fair one. Catt devoted most of her adult life to the cause of suffrage and must be given great credit for the passage of the Nineteenth Amendment. Catt took the tact of persuading and not upsetting those in power in those final years of the debate. Paul, on the other hand, challenged the norms and assumptions of her society. She took on the biggest political tigers of her time — Woodrow Wilson and Democratic Party — but she did it with an unassuming Quaker grace, logic and style that made her a winner from the outset. You have to love her for that. Paul’s courage is unquestionable. She knew what she was in for when she got herself arrested for picketing the White House in 1917. She had been through the same drill — picketing, arrest, hunger strike, forced-feeding — less than a decade earlier in England. She faced the same set of tortures by her American jailers, but she didn’t back down. 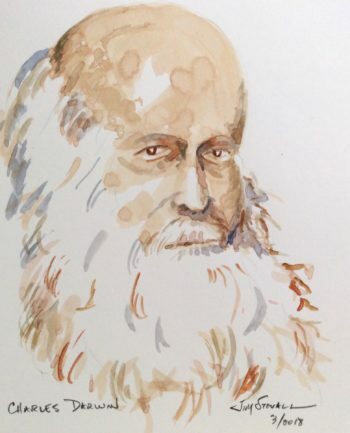 Then there’s the idea that Paul has been “forgotten” in the early post-1920 histories of the suffrage movement, that she had not been given enough credit for what she had done, and that she has since been “rediscovered” by feminist historians. All of these things have added to Paul’s allure. As I said, she’s almost irresistible. Paul grew up in a Quaker home in New Jersey as the 19th century turned into the 20th, the daughter of a wealthy businessman and banker. It was a home that valued peace, social consciousness, education, equality of the sexes and ideas. Paul absorbed all of those values. She received a bachelor’s degree in biology from Swarthmore College in 1905 and a master’s degree in sociology from the University of Pennsylvania in 1907. She went to England to study social work at a settlement house in Birmingham in 1908 and there came in contact with England’s leading suffragists, Emmeline Pankhurst and her daughter Christabel. Paul absorbed their arguments and methods, which included publicity-gathering acts of defiance and holding the party in power directly responsible for women not having the vote. Paul joined their protests, was arrested and participated in hunger strikes while in jail. Along with other hunger strikers, she was force fed and achieved her own notoriety back in the United States. She also met fellow American Lucy Burns. When Paul and Burns returned to the U. S., they joined Crystal Eastman as head of the Congressional Committee of the National American Woman Suffrage Association in 1912. NAWSA had been pursuing a state-by-state strategy for gaining the vote for women, but Paul, Burns and Eastman represented a new generation of suffragists who looked upon that strategy as one of continuing failure. They concentrated their efforts of an amendment to the U.S. Constitution, something NAWSA supported nominally. With almost no support from NAWSA, Paul and her allies conceived and executed the idea of a massive parade down Pennsylvania Avenue in Washington, D. C., on March 3, 1913, the day before Woodrow Wilson’s inauguration as president. The parade involved thousands of marchers (most estimates fall between 5,000 and 10,000, and most commentators describe it as about 8,000) and was counted as a huge success because of the melee it provoked and the publicity it garnered. Paul proved herself to be an expert at garnering publicity. Over the next eight years, she broke from the NAWSA and formed the National Woman’s Party, organized parades, speakers, lobbying efforts, pickets and demonstrations — all of which kept the idea of women’s suffrage in the news and on the minds of politicians. She held the Democratic Party and Woodrow Wilson directly responsible for the absence of suffrage and worked without wavering for a constitutional amendment that would give women the right to vote. NAWSA leaders resented Paul for the publicity that came her way. Catt and others had been working day and night for years with their state-level activities and lobbying efforts. And yet they also saw the value, eventually, of what Paul and her allies were doing. In truth, they didn’t know what to make of her. She was single-minded in her quest for suffrage, in the discipline of non-violence, and in her courage to confront authorities even at the cost of her personal freedom and her life. These qualities lifted her above much of the criticism she received. Did Paul’s activities and attitudes advance or hinder (as many argued at the time) the progress of the Nineteenth Amendment? The debate on that question goes on, and the answer is unattainable, of course. Paul represented an a new attitude that many women had developed toward their right to vote — an attitude of demanding rather than asking. It was an attitude not of gentle persuasion but of exacting costs from those who denied it. From a journalist’s point of view, Paul made a great story. Many historians (including this humble one) have also adapted that view. The Alice Paul Institute. 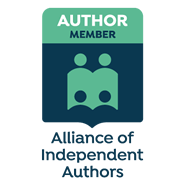 <http://www.alicepaul.org/api.htm> Site index page: “The Alice Paul Institute is a not-for-profit 501(c)3 corporation based in Mount Laurel, New Jersey. It was founded in 1984 by a group of dedicated volunteers to commemorate the centennial of Alice Paul’s 1885 birth and to further her legacy. The organization was operated by volunteers for more than a decade. Today, four staff members, as well as volunteers, oversee the daily business and special events at Paulsdale.” The website contains a great deal of biographical and other information about Alice Paul.